3 steps to overcoming fear of failure so that you can break free from status quo and ROCK your dream life. Anytime we step outside of doing something that is considered normal by the standards of most people, we have to overcome our fear of failure. Fear pops up because we’re conditioned to stay inside our comfort zone and be status quo because that’s safe. And safe is good, right? But safety is truly an illusion. Nothing in life is absolutely safe! Here’s the thing about fear. We think that feeling fear means “run away.” I believe fear is something different. It’s merely an indicator that is signaling us to pay attention. Fear doesn’t mean avoid, it just means make a conscious decision around whatever is happening. If you want different results in your life than what most people have, you have to become comfortable with fear. Most things I have done in my life are the opposite of what you’re supposed to do. And that can be scary! But when it really comes down to it and you look at why we are scared, most times, we’re not afraid for our safety, we’re afraid of what people will think. We project imaginary failure into the future. So, what if instead of focusing 99% of our attention on what we are afraid of, we put our attention on what we DO want? What if we used fear as a catalyst for greatness instead of smallness? Any life that is worth living includes risk. Risk and uncertainty are part of what makes life exciting and fun! 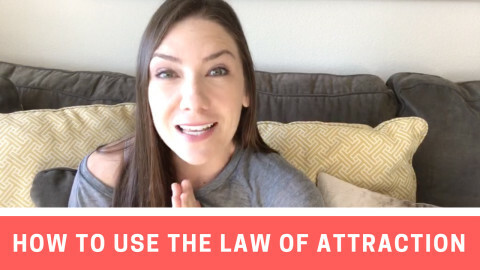 Watch this video above for the full details on how to overcome your fear and program yourself for success so you can finally be free to step into your badass-ness and ROCK your dream life. “Your word is your wand,” is one of my favorite quotes from the book, The Game of Life and How to Play It, by Florence Scovel Shinn. Program yourself to be ten feet tall and bullet proof. Ask yourself, what would ____ [Oprah, Richard Branson, etc... someone you look up to] believe about themselves? Use them as a model. If they have achieved great things, they believe in themselves! At least enough to believe they will figure out a way to create what they envision. This comes from the book, The Desire Map by Danielle LaPorte. I highly recommend both the book and the audiobook, her voice is amazeballs! 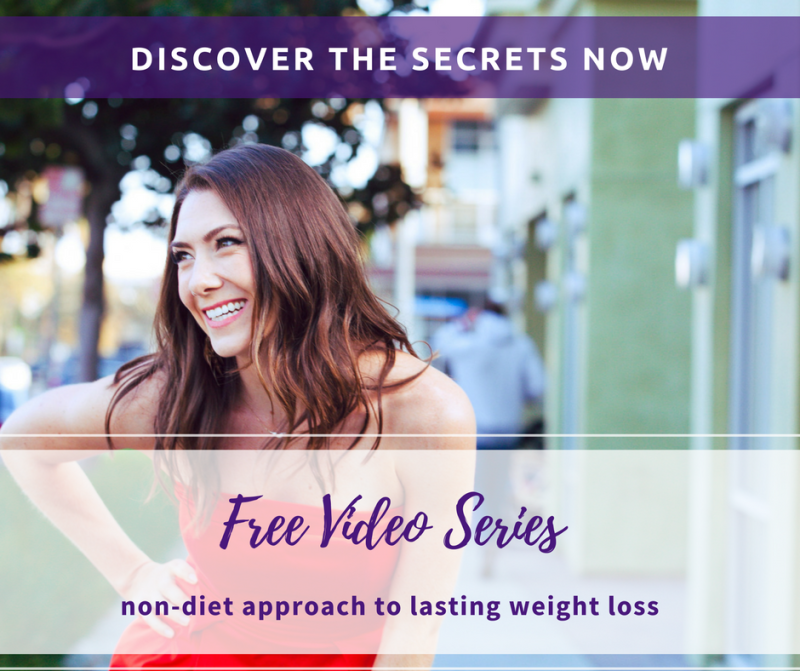 Plan your decisions according to how you want to feel versus shooting for arbitrary numbers (like losing 10 pounds or making six figures) and you will be so much happier and more successful in the long run. The more that you step forward and shine, the more you give others permission to shine. Here’s how I overcame fear of failure on my cross country adventure moving to Santa Monica, California. 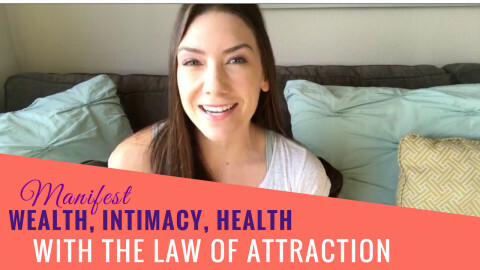 The trick is to feel the fear and then create an inspiration-based action plan that fires you up and gets you excited, even in the uncertainty of not knowing all of the details. Some people say, "feel the fear and do it anyway." I say it’s more so about looking at that thing you are scared of and then deciding that your vision is so much greater than that fear and that as you follow your inner guidance and trust you will figure it out step by step, then your results will be so much better than simply trying to push through. Need help? Apply to work with me 1-on-1. I have a couple spots available right now in my private coaching practice.